Below is a brief summary of some of the most common terms which are used in connection with personal debt in England, Wales and Northern Ireland. Administration Order: provided you have a county court judgment made against you, this is a way of repaying your debts, which must be less than £5,000 in total, whereby you make one monthly payment to the court, which administers payments to all your creditors. AER: means Annual Equivalent Rate and is used to show what you would earn in interest on a savings account. APR: means Annual Percentage Rate and shows the amount of interest you are charged on a credit agreement, taking into account all charges made under the agreement. It is frequently used to compare offers of e.g. hire purchase agreements with one another. Arrears: means missed payments on e.g. 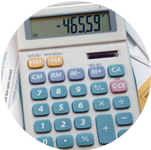 mortgage, rent, council tax, unsecured debts or any household bills. It is usually expressed in terms of the number of months one is in arrears on a particular debt. Assets: means anything you own that has a monetary value such as your house or other property, land, car, boat, stocks, shares, antiques, savings, etc. Attachment of benefits: a method the court can use to repay your debt whereby the DWP can take money from your benefits and pay it to your creditors. Attachment of earnings: a method the court can use to repay your debt whereby your employer can take money from your wages and pay it to your creditors. Bailiffs: officials (often court appointed) who may remove goods from your property, sell the goods and put the money towards your debts, which you have failed to pay following a county court judgment against you. Balloon payment: means that to comply with the conditions of your HP or conditional sale agreement you may be required to make one final lump sum payment, normally at the end of the term of the agreement. Bankruptcy: a legal procedure whereby the courts write off all your debts, apart from a few exceptions, that you are unable to repay in a reasonable time. Any assets you may have, apart from a few exceptions, are usually sold off to repay your debts. You will usually be discharged from bankruptcy in one year, although you may be required to make payments towards your debts for several more years through an income payments agreement or an income payments order. Beneficiary: someone who is going to receive assets or profits from a trust, an estate or an insurance policy, when the contract conditions are fulfilled. Budget: in the context of a household, it is a list of all income coming into the household and all expenditure made by members of the household, usually expressed on a monthly basis. Your budget will be in deficit if expenditure exceeds income and it will be in surplus if income exceeds expenditure. Budget deficit is sometimes called negative disposable income and budget surplus is called positive disposable income. Budgeting is the process of managing your expenditure so that you adhere to the spending plans you have made. Charging order: a creditor who has obtained a high court or county court judgment against you may seek, by way of a charging order, to secure your unsecured debt against your land or property, thus turning an unsecured debt into a secured debt. Child benefit: a regular tax-free benefit payment made to a person who is responsible for a child or young person until they are nineteen years of age provided they are in full time education or training. Company pension: a pension plan where you and your employer make tax-free monthly contributions. Conditional sale: a type of credit agreement where you don’t own the goods until you make all of the payments set out in the credit agreement. Goods may be repossessed if you miss payment(s). Contents insurance: a type of insurance covering repair or replacement of possessions if they are stolen or lost or damaged. Contractual payments: the payments you agreed to make each month when you first signed the credit agreement. Failure to make these payments will cause you to fall into arrears and may affect your credit rating. County court claim: a legal process your creditors can use to collect an outstanding debt. A formal document is sent to you to inform you that a creditor has begun legal proceedings against you. You are given fourteen days to respond to the form. Ignoring the claim will result in a judgment being registered against you by default and an order made that you pay the whole amount immediately. County court judgment: a court order that you make payments towards a debt you owe, having failed to keep to the original agreement with the lender and not made any attempts to reach agreement on repayment. Credit file: a file held by authorised companies containing details of money you have borrowed, payments you have made towards your debts and applications for credit that you have made. Credit rating: the method a creditor uses to assess whether they want to lend you money. Different creditors use different information and methods and so they will score you or rate you differently from each other. Thus while you may fail to get credit from one lender, another may be quite happy to lend money to you. Creditor: a person or a company who lends you money or to whom you owe money. Critical illness cover: a type of insurance which provides a lump sum payment if you are diagnosed with a specific illness. Debt: an amount of money owed. Debtor: the person who owes the money to another person, usually called the creditor. Debt collection agency: creditors can employ debt collection agencies to chase the outstanding debt(s) or they can sell off the debt(s) to them. However, they are not bailiffs and have no more power than any other unsecured creditor and should be treated as such. Debt consolidation: the act of borrowing money for the purpose of repaying all (or most of) one’s other unsecured debts and being left with just one (or just a few) unsecured debts to repay. Debt management plan: if you cannot afford to make the full contractual payments to your unsecured creditors, this is an informal way of repaying your unsecured debts by making reduced payments (i.e. payments less than the contractual payments) to creditors, usually over a much longer period of time than originally agreed with creditors. The plan can be self administered or can be organised with the help of a debt management company. Some creditors may agree to suspend or cancel interest, charges and penalties on the loans provided while the debtor keeps up making the (reduced) repayments. Entering a DMP will adversely affect your credit ratings. Debt Relief Order: a formal method of writing off your debts if you are insolvent, have debts of less than £15,000 in total, have little or no disposable income and have few assets, other than certain exempted ones. You exit the process in one year if your circumstances have not changed in that time. Default notice: issued by a creditor when the borrower breaks the terms or conditions of a credit agreement and signals that the lender intends to take steps to recover the money owed. Deficit: occurs when your income is less than your expenditure. Dependent: Someone who relies on others financially and has little or no income of their own, such as a child or homemaker. Direct debit: an instruction that you give to your bank or other financial institution to pay a certain person or company each month either a fixed sum or a variable amount. Discount rate: an interest rate that is reduced for a certain amount of time before it reverts back to the standard rate. A discount rate is sometimes offered in relation to a mortgage or energy bills, or as an initial rate when one obtains a new credit card. Disposable income: the amount of money which you have available to spend on non-essential items once you have paid your household bills and normal living expenses. Distress: the right which anyone whom rent is payable to, to sell the debtor’s goods to contribute to rent arrears. Early repayment charge: such a charge, sometimes called a redemption penalty, may be payable to the lender, if you clear the debt before the agreement has ended. Endowment: a type of insurance policy that is often used as a way to repay a mortgage where only interest has been repaid to the lender. Enforcement of Judgment Office (EJO): in Northern Ireland the EJO is responsible for collecting unpaid court debts. Equity: the difference between the market value of your house and the amount outstanding on your mortgage and any loans secured on the property. A negative difference gives rise to the term ‘negative equity’. Estate: anything you own is your estate such as your house, car personal belongings and any rights you have to receive money or goods in the future. Eviction: a legal process used to force you to leave your home. Bailiffs may change the locks to your home if you do not leave voluntarily. Ex-parte: a term meaning ‘without attending’, used when applications are made to court without anyone attending in person. Expenditure: all the money you spend on any outgoings and costs. Family income benefit: an insurance that, in the event of a successful claim, pays out a regular income for the remaining term of the policy, rather than a ‘one-off’ lump sum. Final discharge: a court notice that shows that your bankruptcy is over and that you are debt free. Fixed rate: this is an interest rate that doesn’t change for a set period of time. Fraud: deliberately deceiving someone with false information about your-self in order to gain an advantage. Guarantor: someone who agrees to pay a debt if the person who owns the debt fails to do so. Hire purchase: a type of credit agreement where you don’t own the goods until you have made all of the payments set out in the credit agreement. Income payments order: the Official Receiver or Trustee in bankruptcy can apply for an income payments order if they feel that the debtor can make a regular contribution into the bankruptcy for the benefit of creditors. Independent financial adviser (IFA): an IFA offers advice on financial products and investments and is separate from any company providing such products and services. Income: monies received such as wages, salaries, pensions, benefits, bank interest, dividends etc. Income protection: a type of insurance which provides a regular monthly income if you are unable to work because of an accident or illness. Income support: a means-tested benefit for people on low income. Individual voluntary arrangement: a legally binding agreement between you and your creditors whereby you pay back an agreed proportion of your debts over a set period of time, usually five years. Informal arrangement: refers to making reduced payments to creditors without third party help. Insolvent: the state of being unable to repay your debts in a reasonable amount of time as and when they fall due and where the value of assets is less than the amount owing. Insolvency solutions: legal processes that enable insolvent debtors to have their debts written off in full or in part, such as bankruptcy, individual voluntary arrangements and debt relief orders. Insolvency Practitioner: a person who is legally allowed to help people who are unable to repay their debts. ISA: an individual savings account where you don’t have to pay tax on the money you save although there are limits on the total amount of savings thus tax exempt. Joint and several liability: this arises where you take out a credit agreement in joint names with another person. Both persons are responsible for repaying the whole amount borrowed, rather than half each. Lender: a person or company who lends you money. Levy: the power to levy is what lets bailiffs seize and sell goods. Liability: arises when you are responsible for paying something. Liability order: if council tax is unpaid 28 days after the due date, a court summons is issued and if still unpaid within the time permitted, a liability order is issued allowing authorities to make arrangements for the arrears to be paid by deducting it at source from wages or benefits. Mortgage: a loan that you take out to buy a house. Non-priority debts: debts such that if you don’t make payments, consequences are not so serious that you would lose your home or be sent to prison. Official Receiver: a court official who deals with bankruptcy. Outright possession order: a court order that is granted at a repossession hearing when the court gives the lender ownership of your property and your eviction date is set for 28 days later, by which date you will need to remove yourself and your belongings from the property. Payment holiday: a fixed period of time when a creditor (or a supervisor in an IVA) allows you stop making repayments on a debt. PPI: payment protection insurance that is sold alongside loans, credit cards and mortgages. A successful claim would cover repayments for a set period of time if you cannot repay (your loan, credit card or mortgage as the case may be), because of an accident, illness or unemployment. Priority debts: these are debts where, if you don’t make payments as and when they fall due, can have serious consequences such as the loss of your home or even imprisonment. Proof of debt form: a form used by a creditor to submit their claim in an IVA or bankruptcy. Property restriction: a creditor may put a restriction on your property during an IVA, which prevents you from selling or otherwise disposing of the property with the prior express permission of the creditor. The restriction usually only applies during the term of the IVA. Pro-rata: this means ‘in proportion to’ a term that is used mainly in relation to the repayment of debts. The repayment amount to each creditor is in exact proportion to the size of the debt owed to each. Proxy: because creditors rarely attend so-called meetings of creditors, they usually assign a proxy to attend and vote on their behalf. Redemption penalty: see early repayment charge above. Repossession: a legal process whereby a mortgage lender or a secured loan provider takes ownership of your property. This can arise when you fall into arrears with mortgage payments and the lender can go to court to seek repossession and your eviction from the property, following which they will then sell your property. 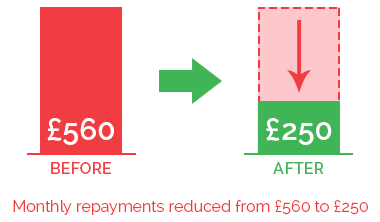 Remortgage: this arises when you take out a new mortgage to pay off the existing one, using the same house. Right of Off-Set: this right can be exercised without your permission when you have a current account (in credit) and a credit card or loan (in arrears) with the same financial institution. The creditor can take funds out of your current account to cover the payments you have missed on your credit card or loan account. Secured debt: money borrowed that is secured on an asset such as your house. If you miss repayment, the creditor could seek to take ownership of your property. Standing order: an instruction that you give to your bank to pay a certain person or company a fixed amount each month. Statutory demand: this is a legal document requiring the debtor to pay an outstanding debt within 21days, failing which the creditor can start bankruptcy proceedings against the debtor. The debt has to be a certain minimum amount. Sub-prime lending: refers to the practice of lending money to persons with a poor credit history, usually at interest rates considerably higher than high street rates, reflecting the enhanced risk to the lender. Surplus income: see disposable income above. Suspended possession order: this is a court order granted at a repossession hearing and it prevents your lender repossessing the property as long as the borrower makes the repayments the court asked for each month. Time orders: the court can order changes to the consumer credit agreement, changing the monthly payment amount (reducing it) or the remaining term of agreement (extending it). Token payments: when unable to make the full contractual repayments to creditors, it is advisable for the debtor to make small token payments such as £1 per month rather than nothing at all. It displays a willingness to repay even if there is currently an inability to repay in full. Tracker rate: an interest rate that follows the increases and decreases of another interest rate such as the Bank of England base rate or the European Central Bank base rate. Transaction at undervalue: this relates to disposing of an asset at less than its full market value before say going bankruptcy so as to avoid having the asset included in the your bankruptcy estate. The Official Receiver can seek to reverse such transactions for the benefit of creditors. Trustee: either the Official Receiver or the insolvency practitioner whom will take control of the selling of assets during an IVA or bankruptcy. Unsecured loan: refers to personal loans, credit cards, store cards, catalogues and overdrafts where the monies loaned are not secured on any asset or property. Variable rate: interest rate that can increase or decrease at the discretion of the lender. Warrant of execution: where you fail to pay a county court judgment, the creditor can ask the court for a warrant of execution which would give bailiffs the right to go to your property and acquire goods to the value of the debt. Windfall: any assets you acquire during your IVA or bankruptcy will go towards repaying your debts.